There remains a number of outdated articles on the web today warning of a lack in gas stations available along the Alaska Highway. While over the past 35 years of driving this road we have seen times when this was somewhat true, today this is nothing more than a myth that carries on from the early days of a gravel two lane road. 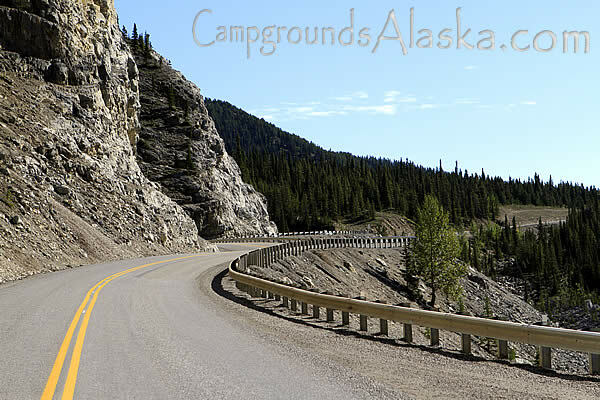 Today the Alaska Highway is, for the most part, not just paved but it is a majorly well maintained year round highway that just happens to travel through some of the most out-of-the-way and misunderstood regions in North America. From wide open plains to steep and winding mountain roadways, the trip traverses such a diverse magnitude of terrain one can hardly sum it up in just a mere sentence or two. While this is still true today, there are still plenty of towns and a small city that you will travel through just like if you are driving in the plains of Montana or even Nevada State Highway 50 that is commonly refereed to as "The Loneliest Road in America." Driving to Alaska is in many ways similar to driving one of the two examples above. While there are plenty of gas stations readily available, some precautions need to be taken not to pass them up thinking the next station is just around the next bend in the road. Also, many of the gas stations and roadhouses along the Alcan Highway have been reopened after the debacle that shut many of them down a number of years back. While many have reopened others that are currently up for sale are still in full operation. One such is found at the southern end of Muncho Lake. 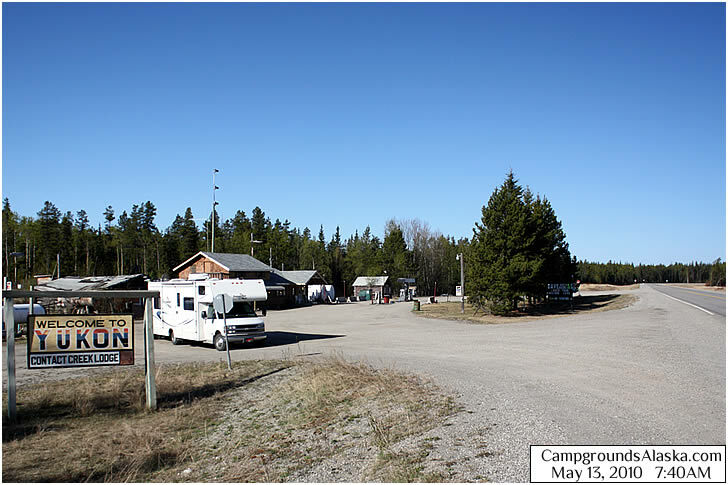 This one can come in really handy for fishermen staying at either Strawberry Flats campground or even up at MacDonald campground where the boat launch is located. 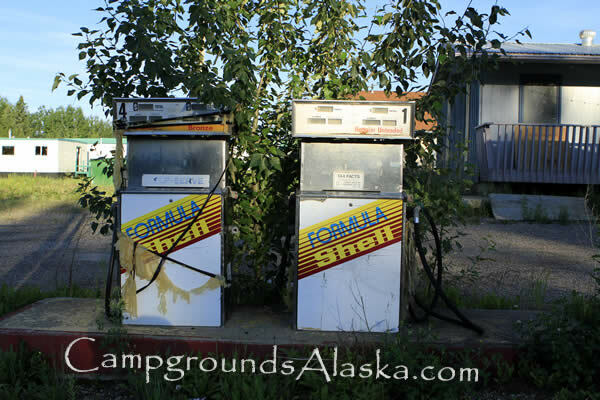 This brings us back to an old question, should I carry extra gas when driving the Alaska Highway? I hate to see people strapping those 5 gallon plastic gas cans on the outside of their vehicles. This is so dangerous in many ways both to the occupants and to a very delicate environment too. Here is my argument against carrying gas cans on the Alcan Highway today. For those that have been around motorcycles they know the limited range for many of them is around 150 to 200 miles yet you see lots of them making this trip. Your car, truck or RV typically has a safe range of 350 to 400 miles or more making extra fuel less of a necessity for you. Between Fort Nelson and Watson Lake is one of the longest distances between major towns and it's only 320 miles between gas stations. Even on this stretch there are a number of places to pick up a few gallons if you want to play it safe. Tetsa River Outfitters and RV Park on the southern end of the Stone Mountains has unleaded fuel as does Northern Rockies Lodge on Muncho Lake and one of our favorite stops, Contact Creek Lodge on the B.C./Yukon border about 40 miles south of Watson Lake Yukon.